Editor’s note: Nader Hashemi is director of the Center for Middle East Studies at University of Denver’s Josef Korbel School of International Studies. This opinion piece is in part based on a recent British Council policy brief. The views expressed are the writer’s own. 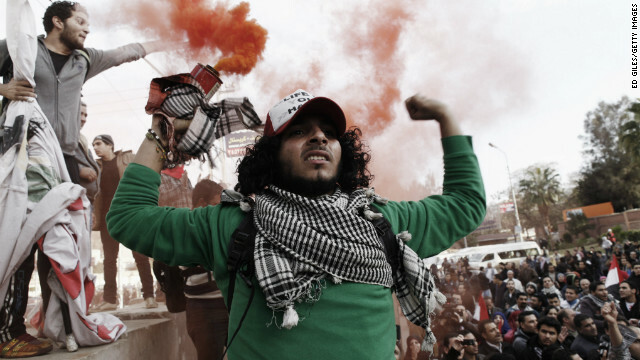 While the onset of the Arab Spring was widely celebrated in the West, the second anniversary of these democratic uprisings has been marked with waning optimism over the future of the Arab world. A recent Pew Research Poll revealed that nearly 60 percent of Americans do not believe that the changes in the Middle East will lead to lasting improvements for the people of the region. More than half of Americans polled, meanwhile, also believe it is more important to have stability in the Arab world, even if there is less democracy. So what should the world’s expectations be? How should Western policymakers, intellectuals, and members of the public understand these developments? History should be our guide. Predicting when a country might undergo a democratic transition is, of course, far from an exact science. But the presence of certain variables makes a transition more likely, whether it is levels of socioeconomic modernization such as industrialization, literacy, mass communications, or the existence of a sizable middle class. In the context of the post-9/11 debate on Islam and democracy, however, these issues have rarely been properly explored. Instead, mainstream media and intellectual debate in the West has often boiled down to this: Why is the Islamic world seemingly so different from societies in North America and Europe? Why are they not more like us? This basic point of departure – expecting cultural and social similarity – has formed the backdrop to much of the analysis of the relationship between Islam, Muslims, and democracy. So what are the problems with the oft-asked question of why aren’t Muslims like Westerners? Well, for a start, this question mistakenly implies that the West is always democratic, peaceful, and liberal. No serious historian, however, would agree. Europe is, after all, the birthplace of fascism, communism and Nazi Germany. An appreciation of history, especially the long and tortuous history of struggles for human rights and democracy in the West, is therefore essential to understanding the tensions between Islam and democracy today. As we observe the Arab Spring today, it is often forgotten that most emerging democracies have to grapple with the place of religion in government. There are no blueprints to follow. Democratic bargaining and negotiation over the role of religion in politics is an inevitable part of the history and consolidation of democracy in all societies. Contrary to popular perceptions, no religion is born with an inherent predisposition toward democracy, liberalism, or secularism. Like other religious traditions that originated in the pre-modern era and are scripturally based, Islam is neither more nor less compatible with modernity than are Christianity and/or Judaism. For example, until the 1960s, it was widely assumed that Catholicism was an obstacle to democracy, yet few people would entertain this argument today. This is not to suggest that religious doctrine can be completely ignored when discussing democracy in the Middle East, but rather that the interpretation of religion is always contextual and evolving; at best, it is only one factor among many that affect the prospects for democratization and liberalization. Meanwhile, in the contemporary Islamic world, the struggle for democracy has been adversely affected by ongoing intervention from outside powers. Long-standing policies, particularly those of the United States, of supporting authoritarian dictators such as the Shah of Iran, Hosni Mubarak in Egypt, and the House of Saud have impeded political development. Coupled with the destabilizing effects of the Israel-Palestine conflict, the environment has been more conducive to the growth of radical religious politics than secular democratic politics. In this sense, the Middle Eastern and European experiences have been different. From a long term historical perspective external intervention in support of authoritarian regimes was not a factor in the development of democracy in the West; in the modern Middle East, however, it has been a critical factor. As the sociologist Asef Bayat noted, congruence between Islam and democracy is not a philosophical issue, as it is widely assumed, but a political one. Two years since the Arab spring erupted, Bayat’s sobering observation is a good place to start for those serious about engaging with, and understanding, the problems of democratic development in the Arab-Islamic world today. Democracy, in itself, is not transforming. If anything, Democracy is an extremely difficult government to install correctly. Rather than push it on a nation who is not ready, it is ulitmately what people demand when a nation has undergone necessary changes (free-press, multiple parties, etc....). Fair and open trade with a nation generally leads to more prosperity, which leads to a nations citizens to demand more power over their lives. China may well end up being a good example of this. S. Korea is a great example. Making Iraq a democracy when fundamental problems still exist, will ensure that it fails. Russia, for instance, attempted a demcracy, but ultimately its people did not understand what it meant. Democracy has to be demanded by its people, who have moved up socially and economically for it to succeed. This is the lesson we need to learn. The one truth which many choose to ignore.......at their own peril.......is that Islam tolerates nothing but Islamic law, and nothing but Islamic religion. As long as that continues..........and it will in the foreseeable future.........there will be no solution possible, for the Islamic problem. NO rick NO. what the problem is that the West likes to get involved with the muslim countries and creating conflict. When the majority of the Muslim countries are 99% muslim then there is no problem with the Islamic Law. And even when christians and jews were living under Islamic law they were granted permission to run there own law system under the Islamic system how ever they please. So dont say that Islam does not tolerate any other religion except its own.